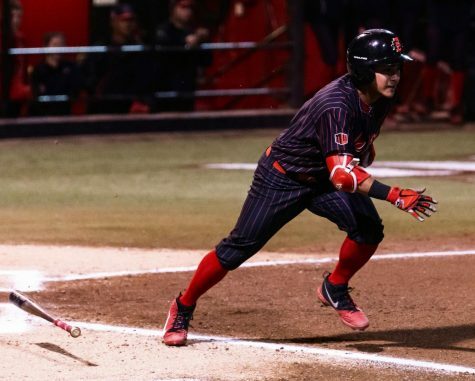 Shelby Thompson stands ready at the plate during the Aztecs 6-2 victory over Colorado State on April 28 at SDSU Softball Stadium. 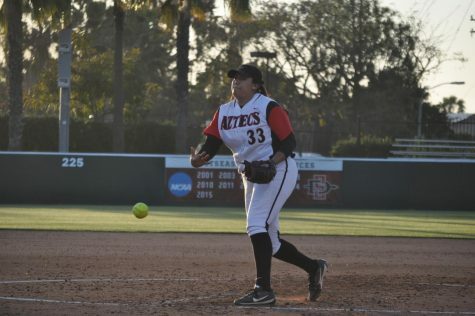 San Diego State softball defeated Colorado State University 6-2 on April 28 at SDSU Softball Stadium. 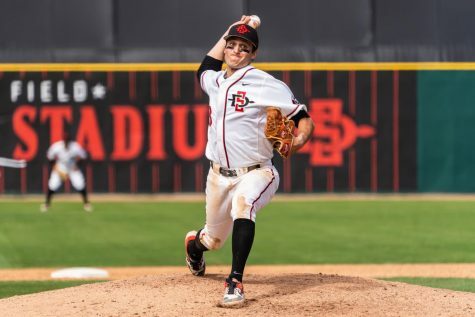 After a tough loss the day before, the Aztecs managed to tie the series 1-1. 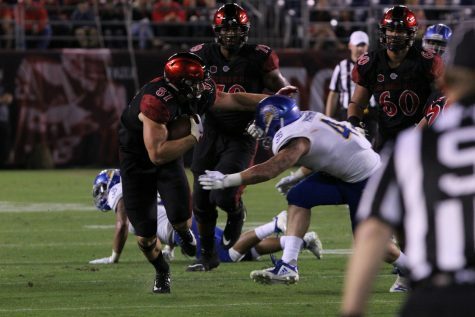 SDSU went into game two with a vengeance. Junior catcher Molly Sturdivant went to work early, hitting a grand slam in the first inning. 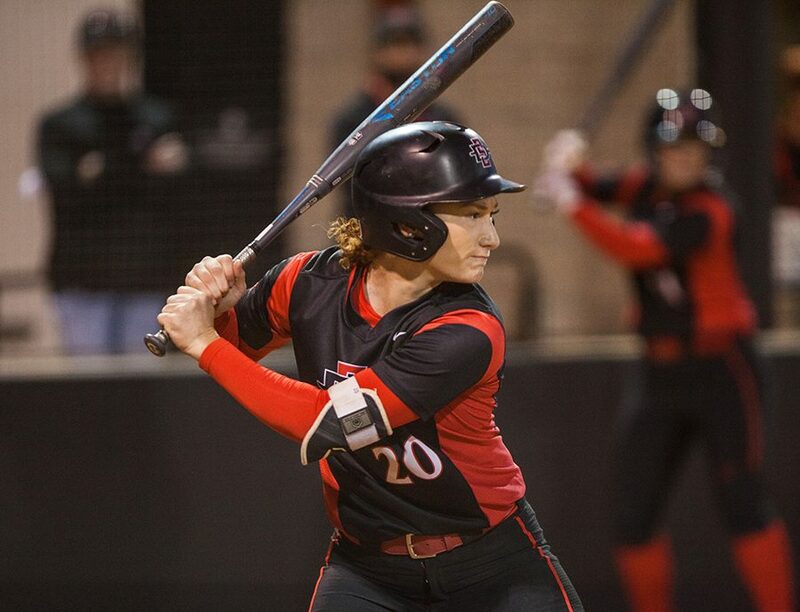 Sturdivant has hit both of SDSU’s two grand slams this season. Head coach Kathy Van Wyk said it is nice to finally see Sturdivant’s hard work pay off. 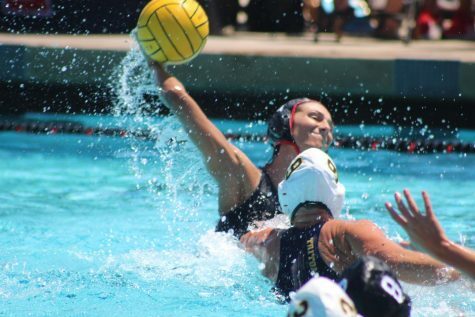 Van Wyk said she focuses a lot on keeping the girls’ heads up. 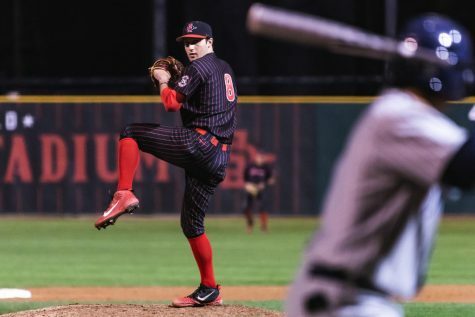 During an intense third inning, senior pitcher Alex Formby survived several bases loaded scares that could have changed the outcome of the game. The stakes were high and the crowd grew louder, but Formby said she does not let it get to her. Van Wyk said she does not worry when it comes to Formby being under pressure. 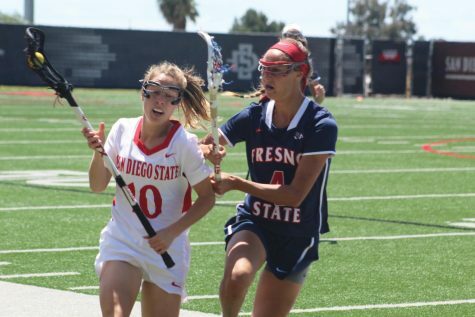 SDSU will play CSU in the third and final day of the series Sunday, April 29 at noon at SDSU Softball Stadium. “We just have to take what we learned today and go with the momentum tomorrow,” Meshack said. Both teams have displayed a lot of energy and passion for the game. Van Wyk said that the team has to match their energy. 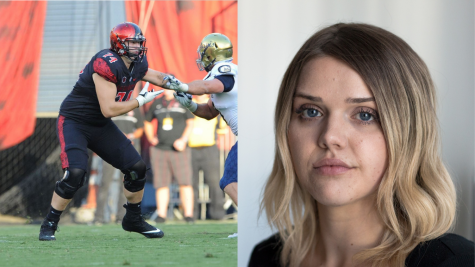 “The team that plays with the most heart tomorrow is the team that is going to win it,” she said.